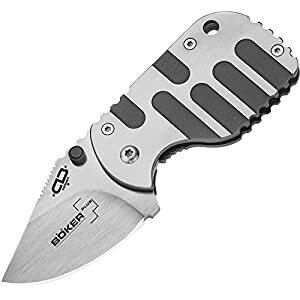 The Boker Plus Anti-MC Folding knife is a hi-tech ceramic knife. The ceramic blade provides a couple of advantages to traditional steel blades, including being 100 percent non-magnetic. Further, the ceramic compound has outstanding edge retention and corrosion resistance. 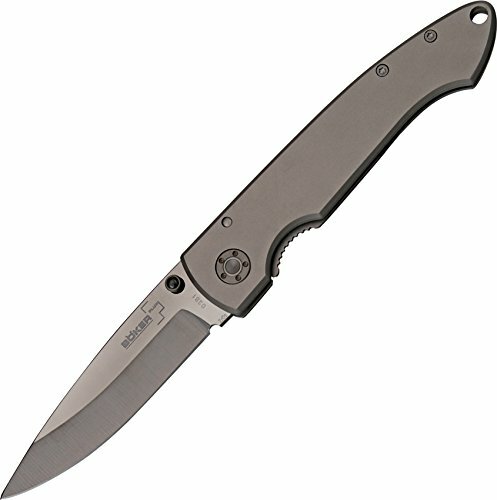 The Maintain is made of lightweight, durable titanium, and has an internal frame lock mechanism. 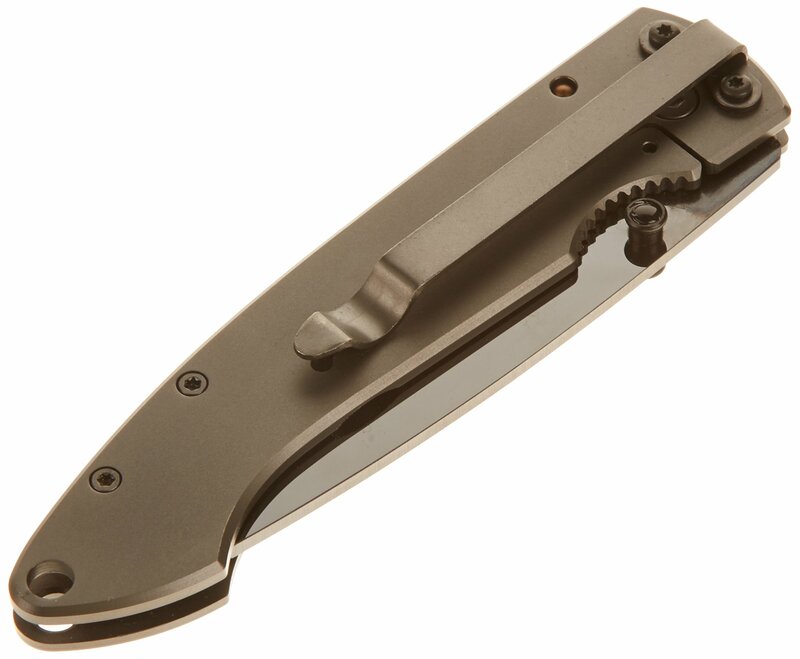 The Anti-MC Folding Knife is more lightweight than steel knives of the similar kind, and opens smoothly. 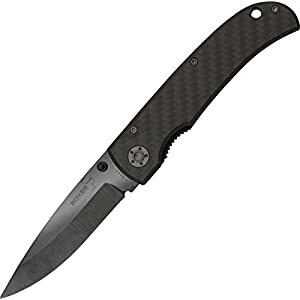 Because it’s ceramic, your ideal uses for this blade will include abrasive materials like rope and cardboard. 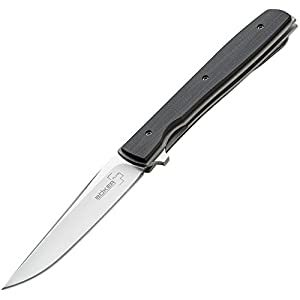 Because they generally tend to wear on knives as they’re being cut, abrasive materials can quickly wear at the steel. But ceramic is resistant to that roughly wear and tear. 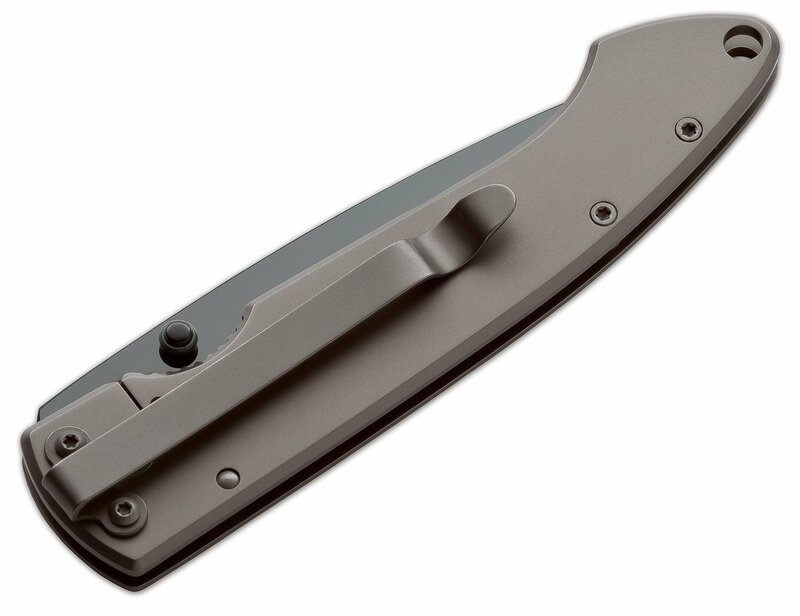 For carrying options there’s an included pocket clip and lanyard hole. 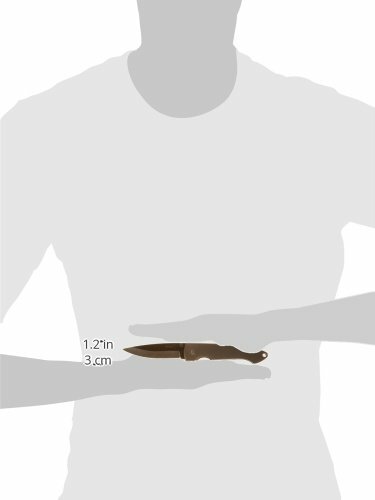 The ceramic blade is 3-1/4 in. long, and 7-3/4 in. long overall. Weighs 2.5 oz. Limited lifetime warranty. A chestnut tree is the world famous trademark of the Boker knife manufactory in Solingen, Germany. It represents innovative, top of the range, exceptional knives, manufactured with pride, by hand, for over 145 years.